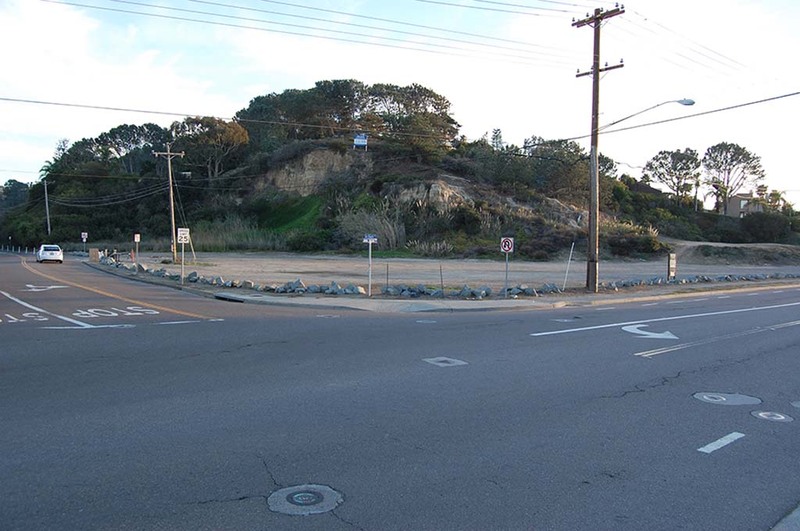 DEL MAR — Plans to build a roundabout at the intersection of Jimmy Durante Boulevard and San Dieguito Drive have been put on hold to avoid delaying a sidewalk improvement project. However, the traffic calming device is still under review and could be added in the future. Council members at the Jan. 5 meeting voted 4-0-1, with Mayor Al Corti recused, to certify a required environmental document known as a mitigated negative declaration for a citywide project that will eliminate gaps in sidewalks along Camino del Mar, Jimmy Durante and Via de la Valle. The project is divided into eight segments, the first of which was completed in the Beach Colony area. Because that project was smaller, it underwent a separate environmental review. The second segment includes about 3,500 feet of new concrete sidewalk along the east side of Jimmy Durante and Camino del Mar from San Dieguito Drive to Del Mar Plaza. The roundabout was added in May and approved by council in October. Later that month, during an onsite open house, several nearby residents expressed concerns. Of the nine comment letters submitted during a 30-day review period that started Nov. 4, several stated issues such as environmental and traffic impacts associated with the roundabout. As a result, city staff recommended “severing” the rotary from the sidewalk project and subjecting it to a separate environmental review that will likely include some material in the original MND as well as additional information and analysis. Eric Minicilli, public works director, said that document could be released early this spring. Because the roundabout could be added later, the potentially affected sidewalks will stop 100 feet short of the intersection. City Manager Scott Huth said the decision was made to not build the sidewalks all the way out because they would be torn up if the roundabout is added. The goal is not to invest resources in something that could be removed, he said. Segment two could still be under construction when the decision is made so a change order to complete the sidewalks would be easier and less costly. If a decision is made later to completely eliminate the roundabout, the sidewalks could be extended during another phase of the citywide project, Huth added. In an email to the city, resident Barbara Stegman stated support for removing the roundabout. The rest of the sidewalk project includes changes to medians, some relocation of existing storm drain inlets and new curbs and gutters. There will also be some restriping to narrow parts of the existing vehicular lanes where they are wider than required to help reduce traffic speeds and minimize construction impacts on adjacent properties. In several locations, small retaining walls along the back of the new sidewalk will be built. Those and any other design features that are not flat will be subject to approval by the Design Review Board. City staff expects to go out to bid on segment two in February, with a goal to complete work before the San Diego County Fair opens in June.